I just had the opportunity to review Gypsy Blues, by Blue Moon Marquee and I really like it. This band takes a fairly fresh look at fusing old style jazz, rock, blues and ragtime coming up with it's own formula. Opening with Trickster Coyote, a blue rocker, this stripped down band of two features A.W. Cardinal on lead guitar with gypsy style lead riffs over a blues beat with an almost Fogerty sound backed by Jasmine Colette on upright bass. Very nice. On rag style track, Hoodoo Lady, a really cool swing and quick little riffs and believe it or not Black Francis sound on vocals. Really nice. Saddle Sore is a simple rocker typical of the 50's. It has it's own sound, not only because of Cardinal's vocals but with with Robert Gordon attack, cool jazz backing and fluid jazz guitar soloing this track is super. Runaway Lane has a theatrical sound with a touch of a French cafe. With it's solid bass line and driving guitar work, this band is rockin'. Punk meets rag time on Pour Me One, which has some really flashy hot guitar riffs. Cardinals vocals are dark and raspy juxtaposed to a bright airy track. Very cool. Double Barrel Blues with backing vocals by Colette and straight forward attack almost puts me in mind of John Doe with jazzy guitar work. Very inventive. One of my favorite tracks on the release, Ain't No Stranger, has a more definitive blues basis and lead vocals by Colette and cool trem bends by Cardinal. With vocals almost approaching Tom Waits, Cardinal opens Spy Hill. An unusual rhythm sets this track apart and I really like. Jim Morrison like phrasing gives the track a bluesy flavor, enforced by early spiritual/blues backing vocals. Boogie track, Tossin' N' Turnin' has that Green Onions feel. I really like the groove on this track. Cardinal keeps his guitar playing simple with tight riffs and rhythm. Shading Tree is a cool bluesy rock ballad with hints of Eric Burdon/Nina Simone but with a lot of grit balanced by light jazz riffs. Very nice work. Driftin' has a real gypsy jazz feel with simple guitar and bass rhythms. Bright and springy with vocal harmonies, nicely done. 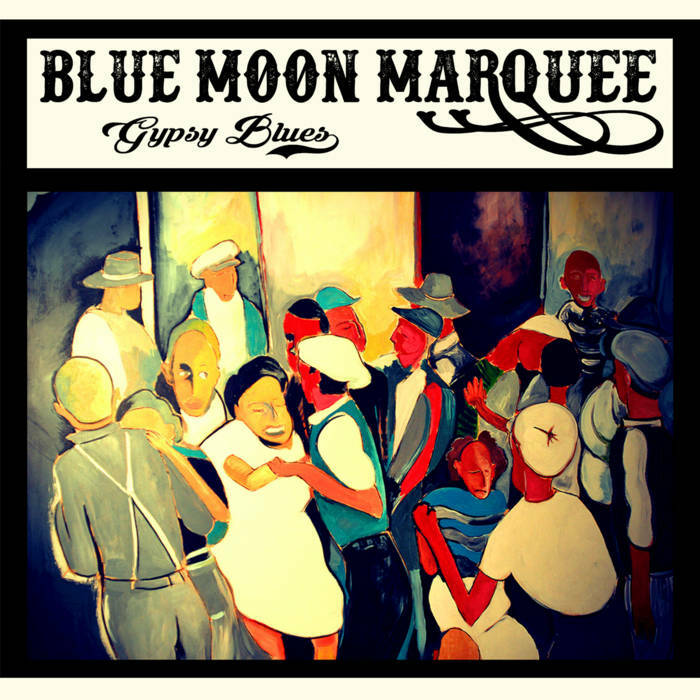 Wrapping the release is title track, Gypsy Blues, with it's New Orleans flavor. This is a really well done release and one I'm looking forward to getting into my car for a closer listen.